The TS06BR 720p Forward Facing Camera is a compact super wide-angle camera, with a high-quality 720p image and IP69K waterproof casing. 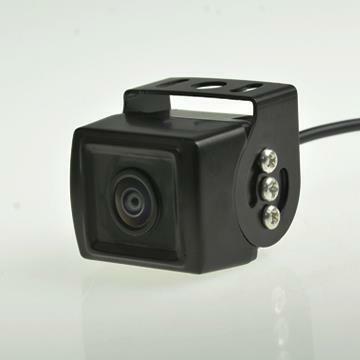 This backup camera is fit for all your commercial transport needs. The camera is completely weatherproof with an IP69K rating, strong and reliable. It is intended as a forward facing camera and therefore does not have any IR LEDs which would otherwise cause reflections when mounted behind the windscreen. No IR LEDs to prevent reflections when mounted behind the windscreen.